Want to sell your gold for cash in Delhi NCR? Then cash for gold is an ideal destination for you. This concept of cash for gold started from the developed countries where on the spot cash is given for the used precious metals like Gold, Silver and Diamonds etc. 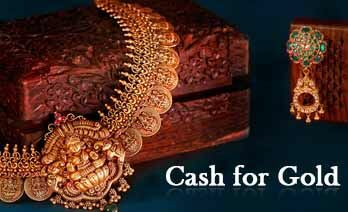 Here at cash for gold, we have replicated the same way of buying your old jewellery for the best price. As a customer, you might be thinking or getting worried about the jewellery evaluation process. But there is no need to worry because we follow internationally recognized methods that are extremely reliable, safe and make you stress-free & bring joy to your face. Many times customers discard their jewellery because it's out of fashion or maybe it's broken. But they don't realize that they can exchange gold for cash, it's really possible. The price of gold is making a new record everyday this is just the right time to sell your unused jewellery and make good money. People searching for Gold jewellery buyer Noida trust us because of our reliable evaluation process.